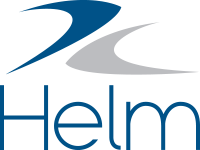 Helm CONNECT can also track the individual certifications held by each asset. These are extra certifications that an asset might have that are not linked specifically to an asset type. Individual certifications only apply to a single asset. Individual certifications aren't linked to an asset type. Add individual certifications for assets by clicking Manage Certifications on the Assets tab in Assets. If the certification is updated when it's overdue. If the certification is updated when it's due in 90 days or less. When the certification reaches each of its lead time milestones. See Set lead times . If an individual certification has at least one responsible party, you can also set lead times for that certification. We've provided options to set the lead times for 30 days, 60 days, or 90 days as well as a custom field where you can enter a unique milestone.